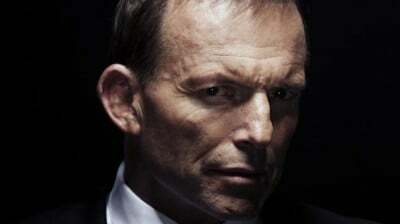 Apparently, the Australian Prime Minister, Tony Abbott, is “sick of being lectured to”. One should add that this lecturing is framed in a more collective sense – Australians, he argues, are tired of those soap box enthusiasts who keep reminding them of human rights obligations. The latest figure on the podium of moral unctuousness is the special rapporteur on torture Juan Mendez, whose report on child detention in Australia’s offshore processing centres does not make pretty reading. The UN report by Mendez, himself a human rights specialist who received a fair share of torture at the hands of the military regime in Argentina during the 1970s, argues that various aspects of Canberra’s treatment of refugees on Manus and Nauru may amount to the breach of the UN Torture Convention. Four specific cases have been cited. “I think it is my duty,” Mendez claims, “to tell Australia that, at least in that respect, and in respect of keeping children in detention, that policy needs to be corrected” (Sydney Morning Herald, Mar 10). The volatile and violent situation on Manus Island is noted, including the “intimidation and ill-treatment of two asylum seekers” who provided statements on the violent clash at the centre last year. The expansion of Australian powers via the Maritime Powers Act to detain asylum seekers at sea and then render them back also constituted a violation of the convention (Sydney Morning Herald, Mar 10). The process is typical Abbotian brutishness. Prior to dismissing the UN report on Monday, he attempted to dismiss the entire work of Professor Gillian Triggs’ about the appalling mistreatment of children in Australia’s crude detention network. The Forgotten Children report by the Australian Human Rights Commission will rank in the human rights canon as a primary document of a country’s brutalisation of asylum-seeker children. Like other documents of its sort before, it is being whisked away – into archives, onto distant inaccessible shelves – and dismissed by the powers that be. Government officials have, as evidenced by statements, not read it. Ditto their supporters. Normalised cruelty incessantly banishes the nasty details. Immigration Minister Peter Dutton resorts to the language of a dull service provider. “Australia is meeting all its international obligations and with other regional nations provides a range of services to people who have attempted to enter Australia illegally.” In its place exists steadfast denial and false appraisals of hope. That is the vision of the gulag coffee and tea set in Canberra. Unsatisfied with levelling his pellets of abuse at Triggs, Abbott has decided to get into that fashionable pastime of UN bashing. He suggests that its representatives would “have a lot more credibility if they were to give some credit to the Australian government” for stopping boat arrivals (read, stopping asylum seekers from arriving in Australia by boat). He even claims that “the UN rapporteur didn’t even bother… getting a proper response from the Australian government” (The Australian, Mar 11). Quite a suggestion, given that the Australian government never deemed it proper to respond to the requests of the rapporteur to cite its versions of the fact. Two points stand out. The first is that stopping a line of asylum seekers simply displaces it, shuffling the chain of supply to other routes, and other destinations. Indonesian territorial waters have been breached in the efforts of the Australian navy to repel asylum seeker vessels, often by means of life boats. Little is heard about that particular assault on sovereignty. The second point is fundamental. Supposedly preventing deaths at sea entails savaging the survivors on land, confining them to prison-like quarters with promises that they will never, even when found to be refugees, find a home in Australia. It is precisely the nature of that treatment that is being pointed out in the report – incarceration, notably of children, that violates a slew of international conventions. The source of humanitarian crisis and the catalyst for such movements of people do not stop because the drawbridge is lifted. The good conscience of Australia’s officials is such that deaths at sea, as long as they don’t happen on route to Australia, is nothing to be worried about. Insulated, with a free conscience, the Abbotophiles can continue to treat international law, not so much as a dead letter as an irrelevant one.